It has been awhile since I last wrote but life is always a little hectic after the first of the year. By this time though, I have recovered from Christmas painting and I am ready to jump into spring time painting. 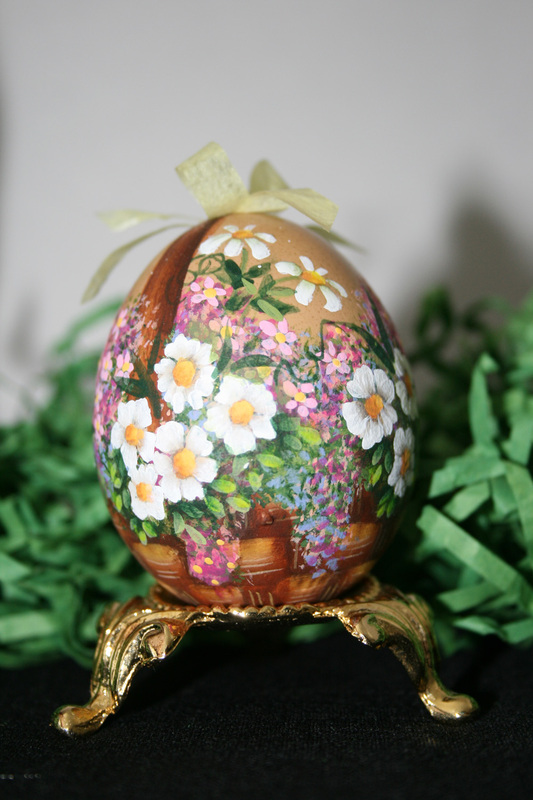 I have included some photos of the Easter/Spring/Mothers Day eggs that I have been busying creating. To prepare the egg I carefully empty the contents of each chicken egg, thoroughly clean it out and place it in the oven to sterilize it before I begin painting. The designs are original and hand painted with mostly acrylic paints although sometimes I do an oil glaze on some of them. After painting the egg I put an acrylic gloss finish which give the egg a “glass like” look. They are really a nice addition for someone that collects eggs and each one is individually painted so no two are exactly alike. I also included a photo of the icon Archangel Michael, that I just completed in an icon painting class I attended the first week in March. What an incredible experience! 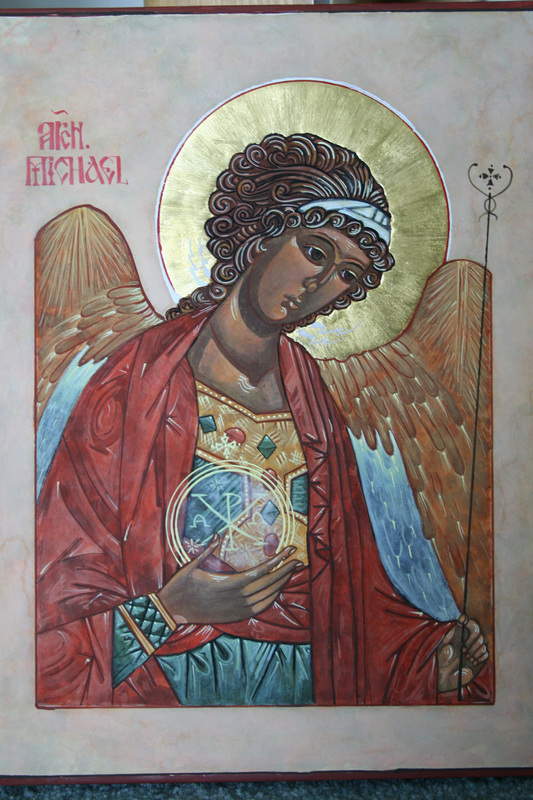 Actually, it is not painting but “writing” an icon, and we used egg mixed with natural pigments – egg tempera just like the writing was done during the Byzantine icon writing era. It was such an informative and also a spiritual experience – much more than I expected and I certainly hope to be able to take the class again next year.